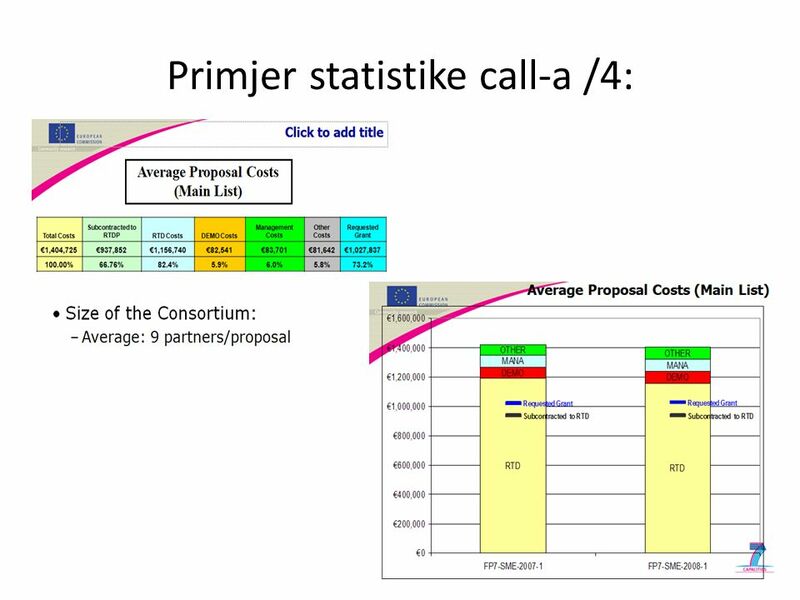 5 Tri skupa aktivnosti u Capacities - SME (1) 1. 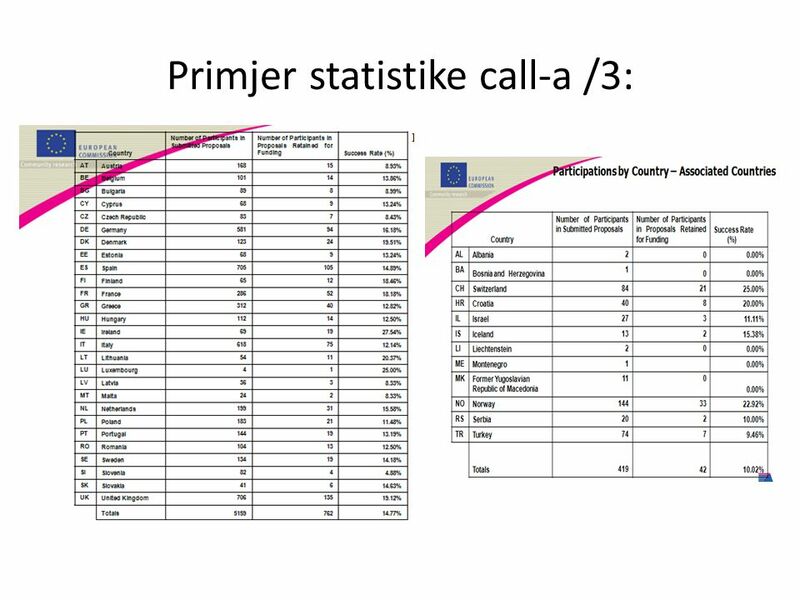 Potpora MSP u outsourcingu istraživanja i razvoja (Izvo đ ači istraživanja su sveučilišta, instituti, specijalizirani SME,..) – Shema ‘Research for SMEs’: namijenjena MSP s malim vlastitim istraživačkim kapacitetom ili high-tech MSP kojima treba komplementarno istraživanje. 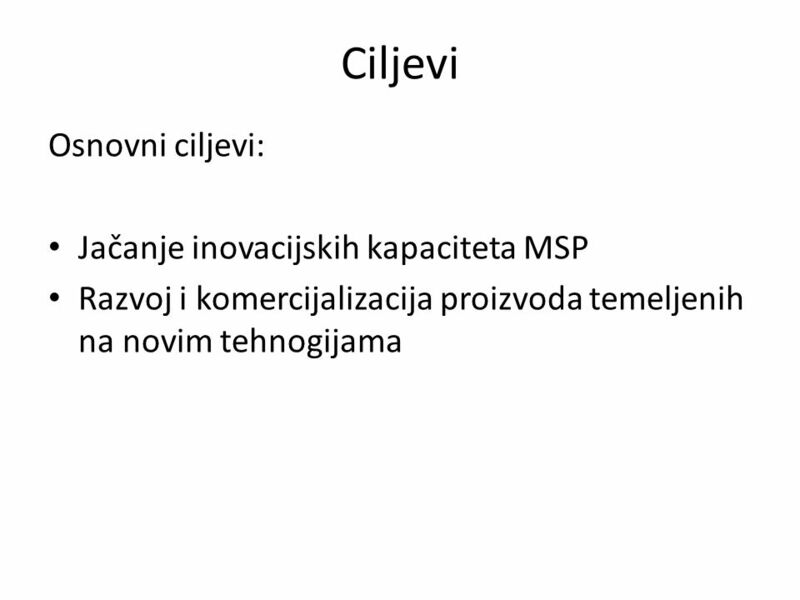 Nužno je dokazati da projekt stvara znanje koje će potencijalno rezultirati u novim proizvodima i uslugama MSP. 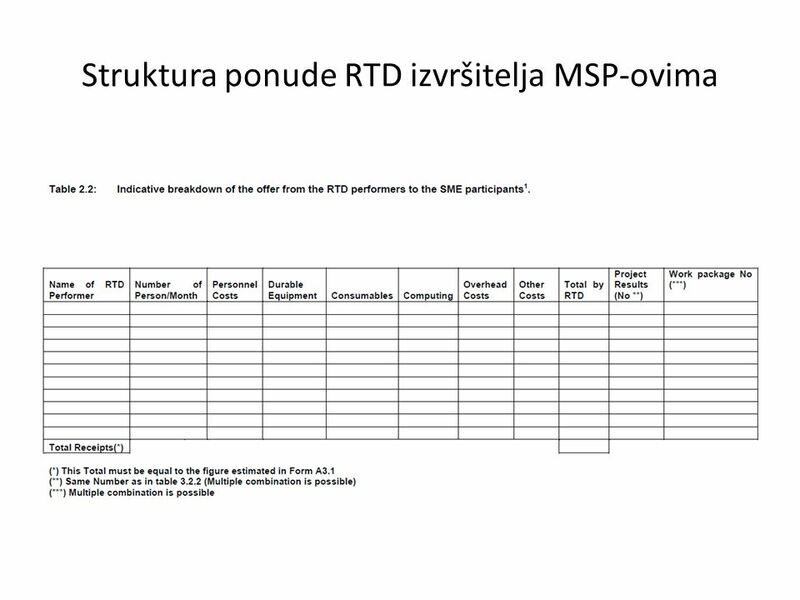 – Shema ‘Research for SME associations’: namijenjena asocijacijama koje predstavljaju MSP koje imaju zajedničke tehničke problem te mogu prihvatiti i prenijeti rezultate projekta prema MSP. 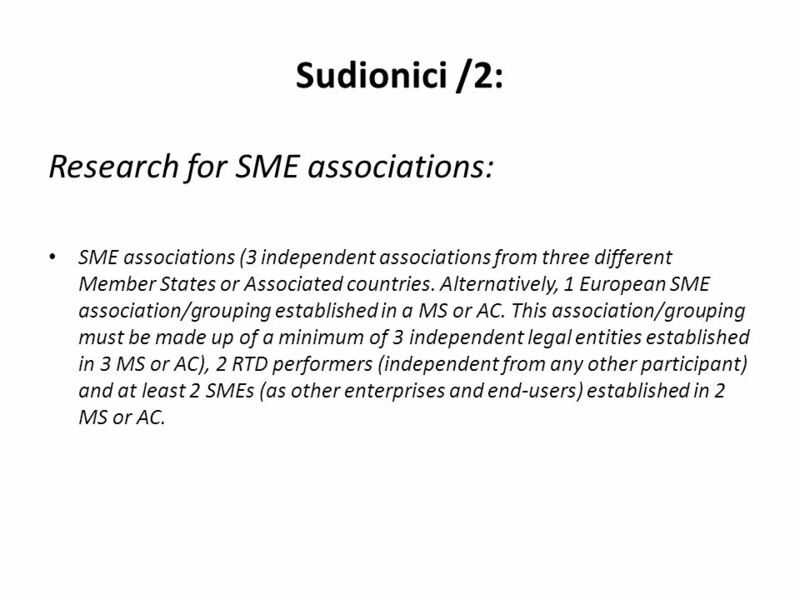 16 Sudionici /2: Research for SME associations: SME associations (3 independent associations from three different Member States or Associated countries. 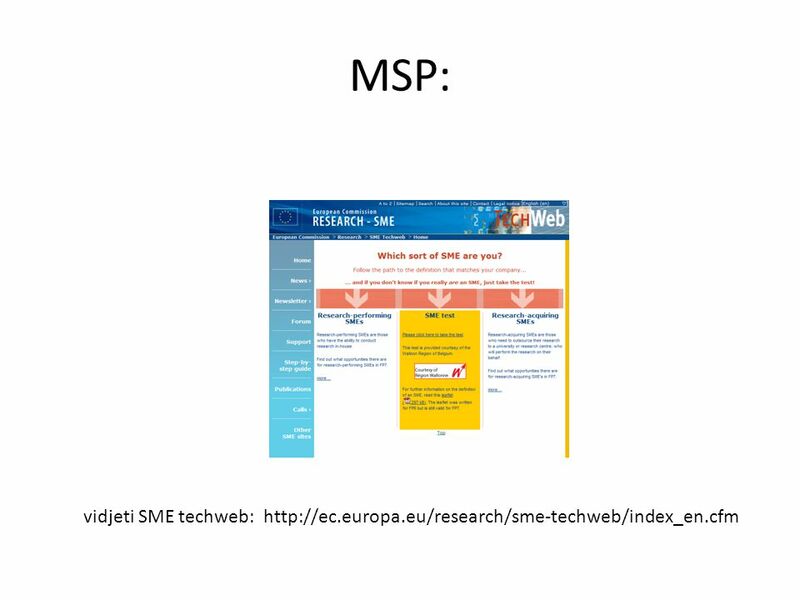 Alternatively, 1 European SME association/grouping established in a MS or AC. 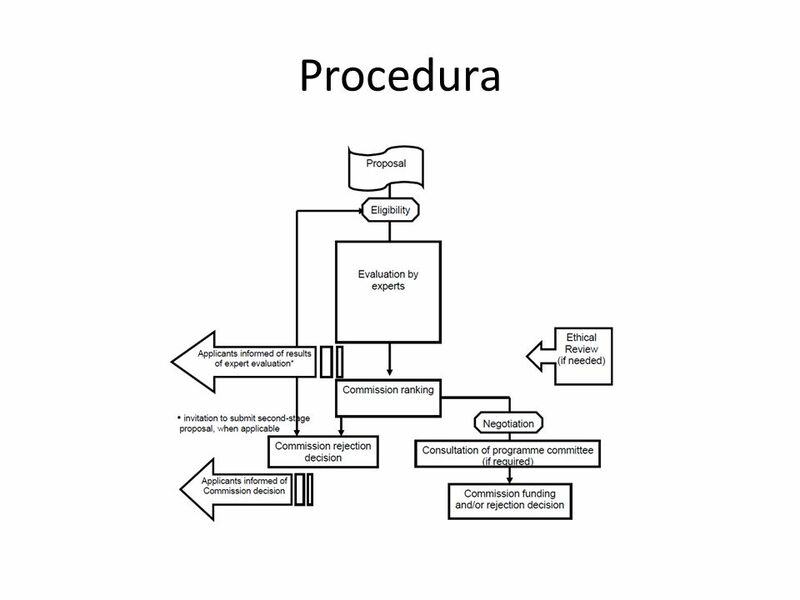 This association/grouping must be made up of a minimum of 3 independent legal entities established in 3 MS or AC), 2 RTD performers (independent from any other participant) and at least 2 SMEs (as other enterprises and end-users) established in 2 MS or AC. 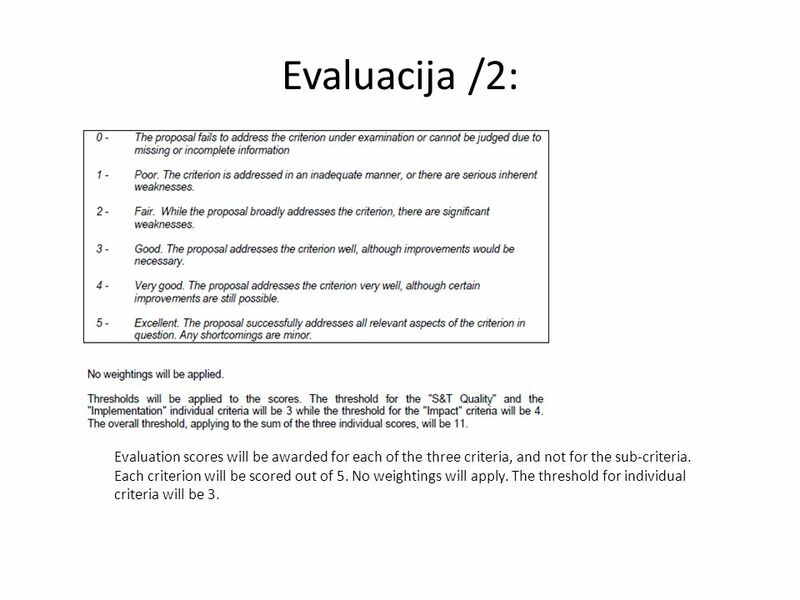 18 Evaluacija /2: Evaluation scores will be awarded for each of the three criteria, and not for the sub-criteria. 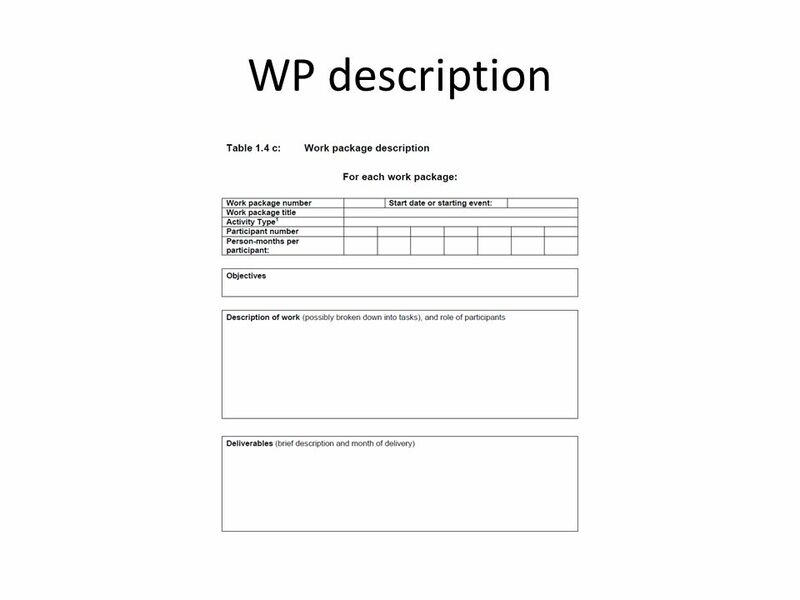 Each criterion will be scored out of 5. No weightings will apply. 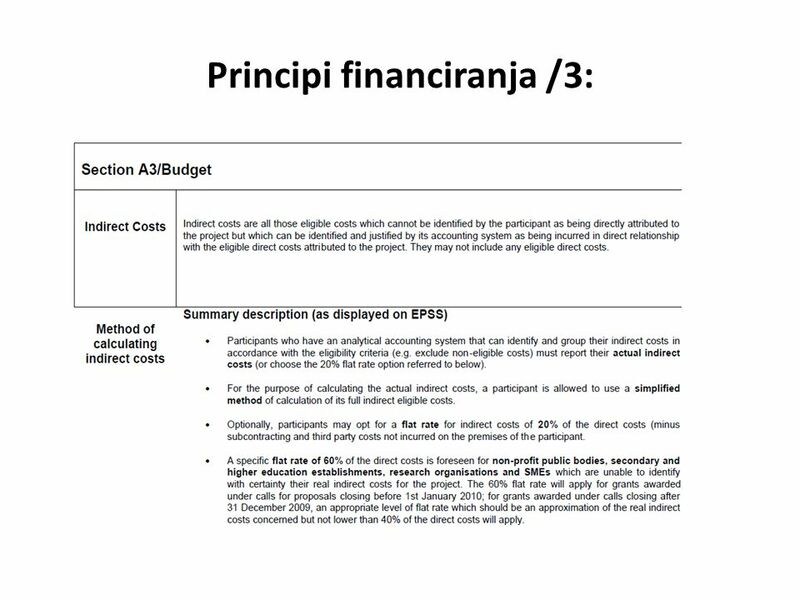 The threshold for individual criteria will be 3. 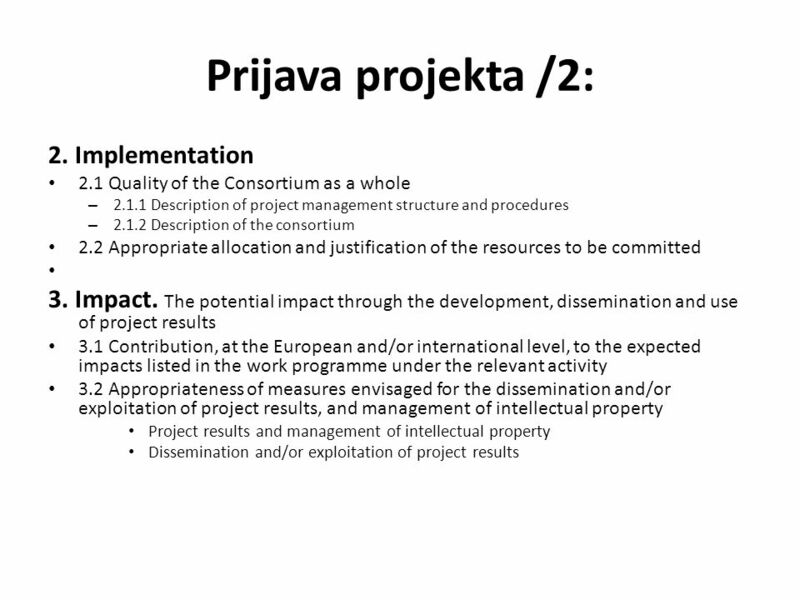 21 Prijava projekta /3: A detailed work plan, broken down into work packages which follow the logical phases of the implementation of the project, and include consortium management and assessment of progress and results. 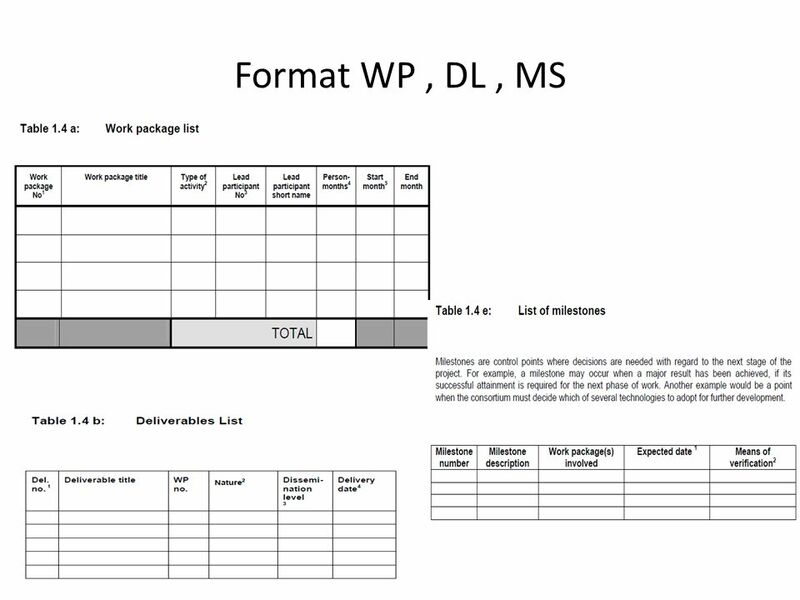 Detailed work description broken down into work packages: – Work package list – Deliverables list – Description of each work package, and summary – Summary effort table – List of milestones – Graphical presentation of components with interdependencies (Pert diagram or similar) – Significant risks, and associated contingency plans. 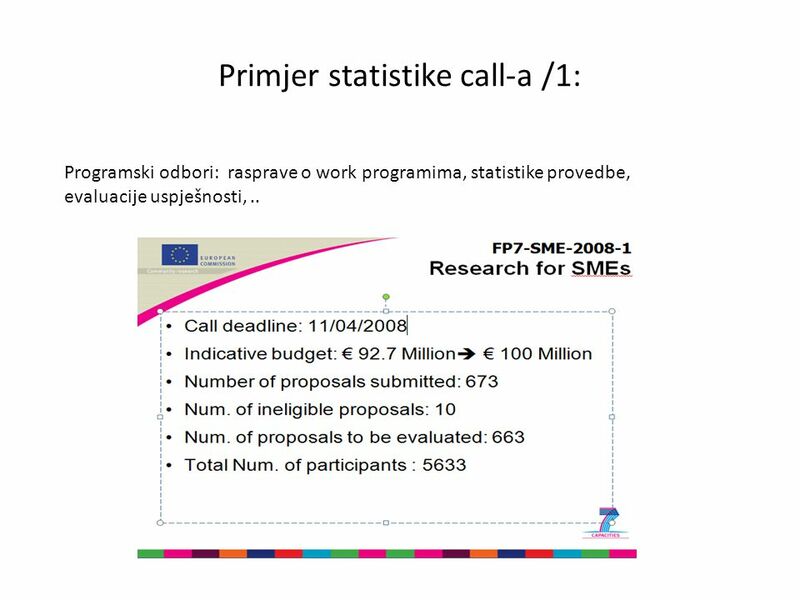 28 Primjer statistike call-a /1: Programski odbori: rasprave o work programima, statistike provedbe, evaluacije uspješnosti,..
Download ppt "“Pozadina i analiza programa “Research for the benefit of SMEs” uz praktične savjete." INT-ER-LINK workshop I 7 July 2009, Pretoria FP7 requirements with a focus on the Environment Theme NL Environment NCP FP7 requirements with a focus on. 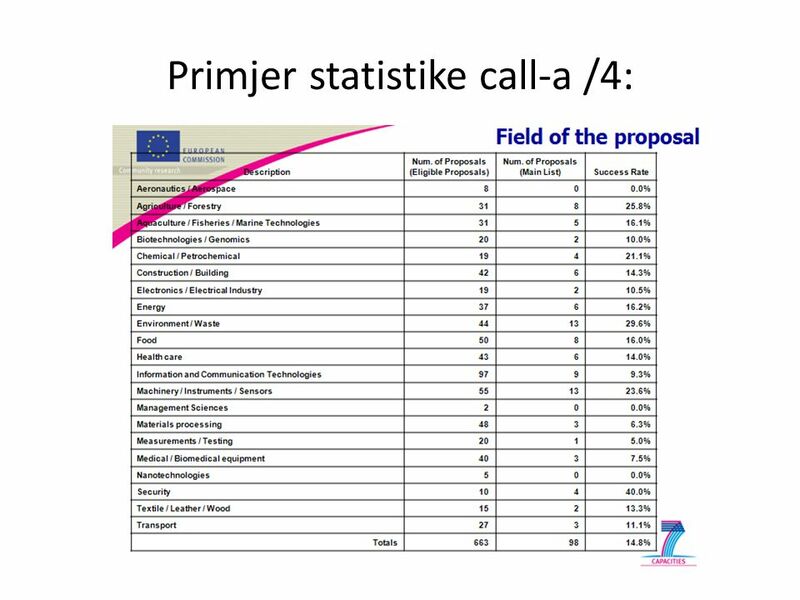 European Commission - Directorate-General for Research IP short.doc 1 FP6 Integrated Projects FP6 Integrated Projects A new instrument for supporting. Yolanda Ursa (INMARK) ICT Day Opportunities to participate in EU ICT research projects San José, 16 February 2010 Building ICT Projects. Getting through. 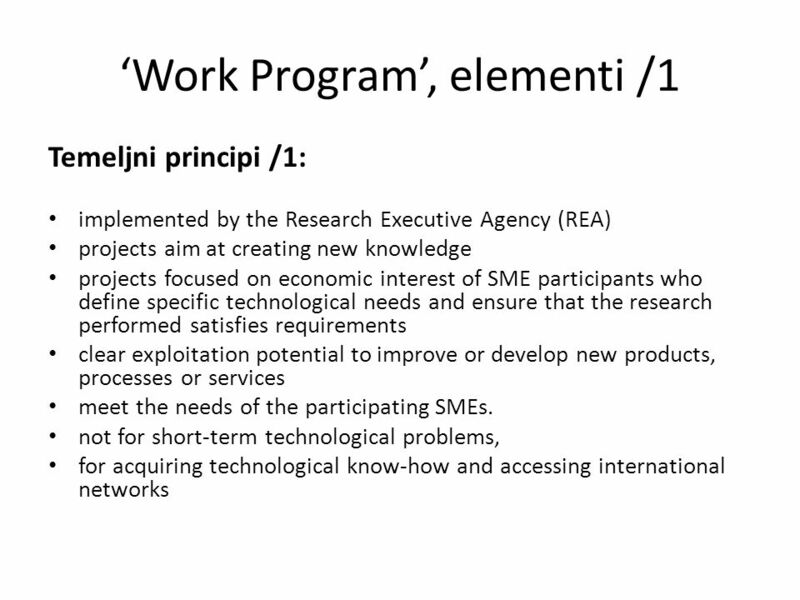 InJoy&Train FAFB Information Day 16 November, 2007 SMEs in FP7 Tigran Arzumanyan. 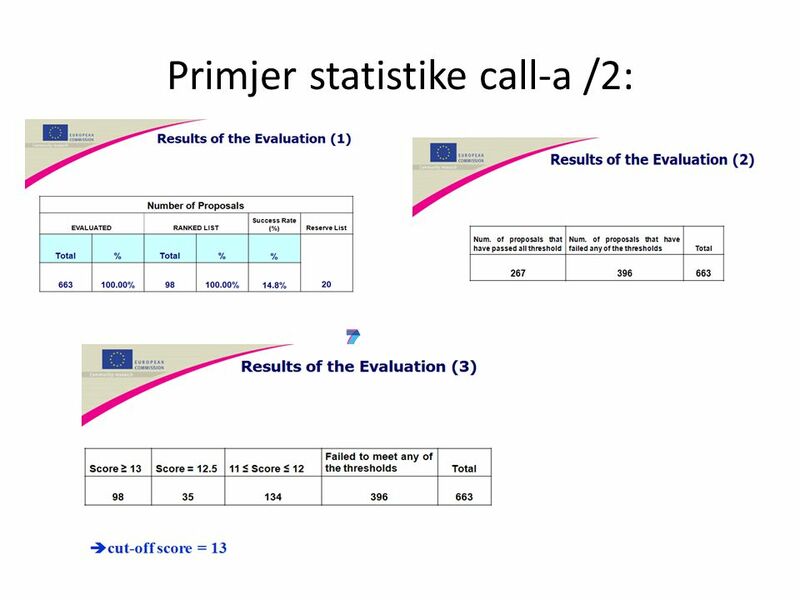 Oficina AproTECH de AETIC: Información y asesoramiento en la preparación de propuestas de I+D+I FP7: The evaluation process. The negotiation. 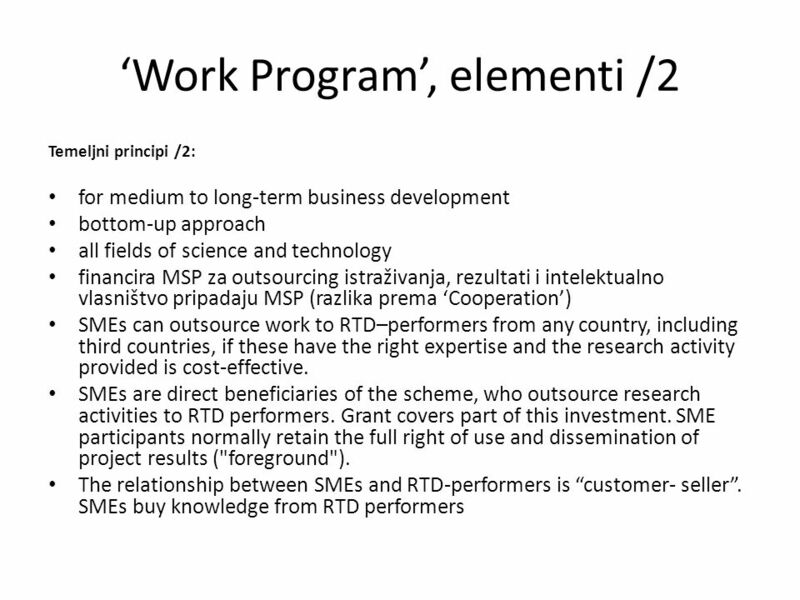 Horizon 2020 SME Instrument A recipe for success.